We all like sleeping, right? But it can be hard to find a refreshing beverage when you're dreaming. 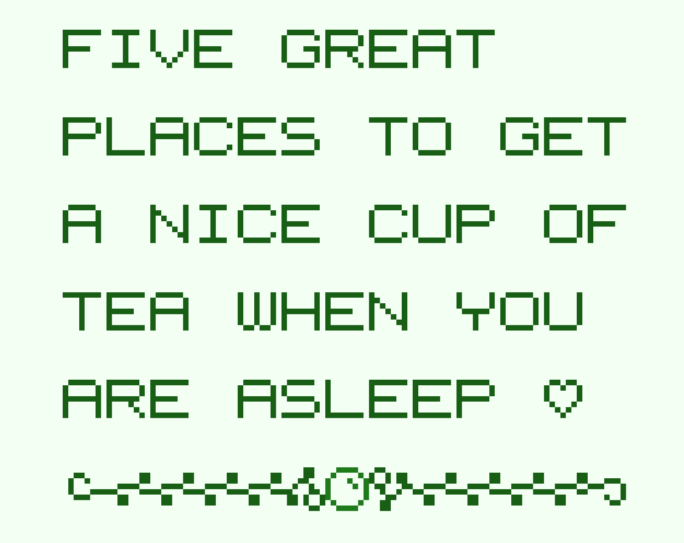 So in this consumer report, our intrepid critic reviews some of the best dream places to get a nice cuppa. The environments were absolutely mind blowing! Each one with their own theme, and style to them, it was awesome. Additionally my jaw dropped getting on the MARTIAN TRAIN!! Awesome work! Feels like walking through a bunch of coffee-shop AU's of various myths. Added a heart for the sleepy Martian bees! AMAZING! Such vibrant and varied worlds you've made! And also some pretty humorous dialogue as well! Top Notch Entry!! 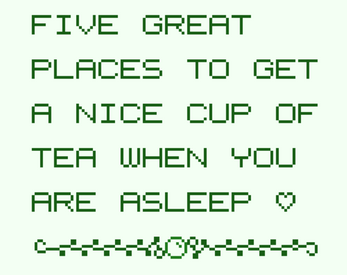 I wan't to go to all these tea places aaaaa !!! This absolutely blew me away. What an amazing entry!